In the fourth paragraph, we find that the herdsmen are “mostly Muslims,” while the victims are “predominantly Christians.” Never in this story do we learn that Nigerian Church leaders have characterized the attacks by Fulani herdsmen as a war “by Islam to eliminate Christianity” in Nigeria. Lagos, Nigeria (CNN)At least 86 people have been killed in attacks in central Nigeria, police said, an incident that has the potential to exacerbate ethnic tensions in an increasingly volatile region. The violence, thought to be carried out by armed herdsmen, flared on Saturday in Jos, the capital city of Plateau State, according to a police statement reported in local media Sunday. 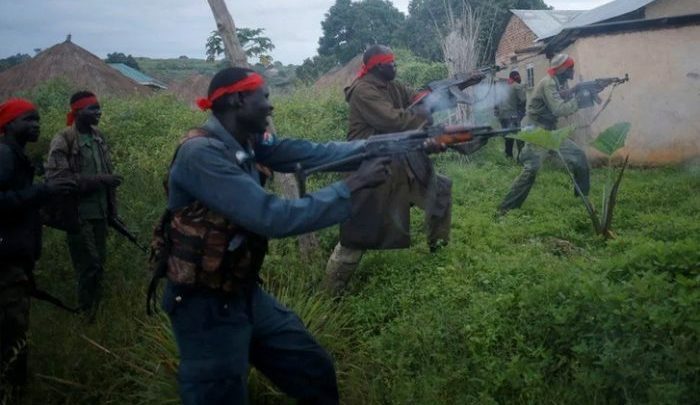 “Eighty six persons all together were killed, six people injured, fifty houses burnt,” police spokesman Terna Tyopev was quoted as saying in local media reports. Clashes between the nomadic Fulani herdsmen, who are mostly Muslims, and farmers, who are predominantly Christians, have rocked Nigeria’s Middle Belt since 2013 and are becoming more common.